So far, May is off to a decent start. The first three days saw me writing only 442 words per day. The next seven days saw that jump to over 14,000 words or an average of 2,031 words per day. This despite having three days in the week that I didn't write at all. At nearly six full months into the challenge, I've written over 200,000 words or 1,254 per day. 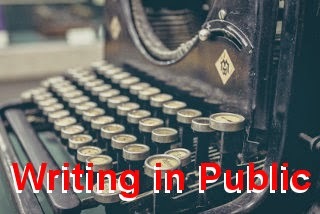 On Monday, I wrote a post for Columbus Beer Scene (934 words), a post for How To Write Fiction (680 words), and a journal entry (406 words). Tuesday, I write a post for the ASL Series Blog (800 words), notes for the ASL Mimas Object story (1358 words), a post for this site (280 words), and a journal entry (673 words). Wednesday I wrote more on the ASL Mimas Object story (204 words) and a journal entry (395 words). Thursday, I wrote a post for How To Write Fiction (931 words) and a journal entry (276 words). Friday and Saturday I didn't make the time to write. Sunday, I became sick and spent most of the day asleep.